I read this article and found it very interesting, thought it might be something for you. 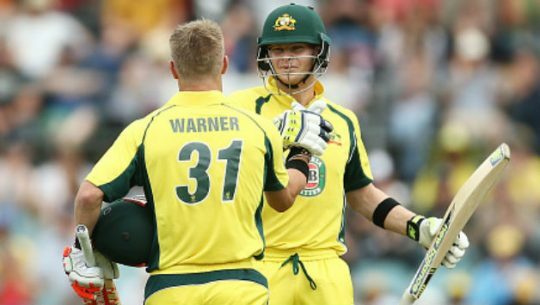 The article is called Cricket live score: Australia vs New Zealand 3rd ODI Hamilton and is located at http://www.panasiabiz.com/9662/cricket-live-score-australia-vs-new-zealand-3rd-odi-hamilton/. As the previous match in Napier was abandoned without a ball being bowled, the last match in the One-Day International series between Australia and New Zealand at Seddon Park on February 05, 2017 has huge significance. A win in this match will help New Zealand to grab the series, and for the visitors winning this game will help them level the contest. This crucial encounter will begin at 03.30 PM IST (11.00 AM Local Time). Martin Guptill, the kingpin in the Kiwi line-up sustained a serious hamstring injury in the first game, and he is yet to recover from it. The team management has already revealed that Guptill will not play the third game which is surely a blow for the Kiwi batting department. After two years of hiatus, Dean Brownlie has returned to the International squad, and he is expected to play the final game. For Australia, leg-spinner Adam Zampa will most likely play this game. Opening batsman Sam Heazlett who failed to make a remarkable debut in the first game will most likely play in this match too. The sky in Hamilton is expected to be clear, and there are absolutely no chances for rain. The surface is flat, and the ball will directly come on to the bat. The team who wins the toss will not have any rethought to bat first, as putting up a huge total will be very easy in the Hamilton pitch. Sky Sports and Sky Sports 2 will telecast the game in New Zealand. In Australia, the live actions can be viewed on Nine Network. The live coverage in Channel 09 will begin 50 minutes before the play, and the channel has deployed many former cricketers for the pre-match analysis. The official website of Cricket Australia can be viewed by visiting the official website of Cricket Australia.